I am so excited to share this special Disney’s Boardwalk Resort engagement session with you! Angelica and Evan’s story is so sweet. Jack and I were so excited to work with them on their last day of vacation! Evan and Angelica first met in 2011 in their community college choir in Arizona. They have both been singing since junior high school! The couple was accepted into the Disney College Program in the fall of 2016. They lived in Orlando for a year working for Walt Disney World. Evan hung out with the Yeti at Mount Everest in Animal Kingdom. Angelica kept the park running smoothly with merchandising at Animal Kingdom and Epcot. Walt Disney World is where their love story took a turn! Angelica’s best friend from Arizona, Mary, who was also in the Disney College Program, and her roommate Kristen, invited Angelica to go take photos at the Boardwalk Resort one evening. They got all dressed up and started their photoshoot! They took some near the lighthouse and Angelica looked around and saw Evan. She was really confused at first, but once she saw him in a nice shirt, she had a good idea what was going on! Evan proposed near the lighthouse with a stunning diamond band. Angelica reached out to me on Instagram and told me their story! They were on vacation visiting the parks and their College Program friends. She wanted to revisit the proposal spot and have a sunrise session with Evan around the Boardwalk Resort. I was so excited and immediately said yes! We met in the lobby of the Boardwalk resort and adventured around Crescent Lake, visiting some classic locations such as the photo booth, the beach, and of course, the lighthouse! We had a blast getting to know Angelica and Evan on their session and exploring the Boardwalk with them. 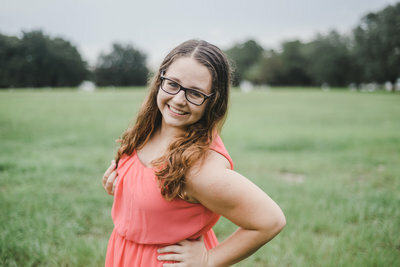 Take a peek at their session! 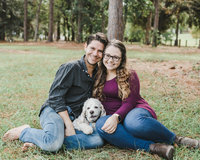 Want to see more engagement sessions? Take a look below!